Hundreds of companies have pledged to slash greenhouse-gas emissions and purge deforestation from their supply chains, but most are struggling to meet their commitments. Those that succeed have done so by establishing sustainability as a core goal and then looking for innovative ways of achieving it. 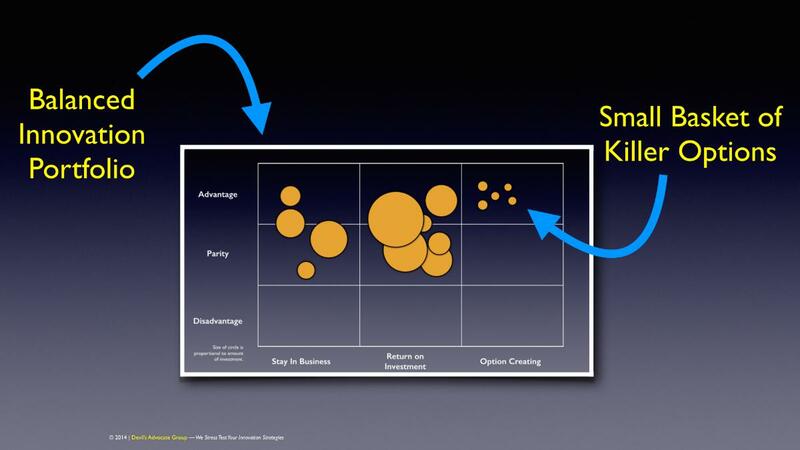 Here are three components of any innovation strategy. 4 October 2017 | One lament I often hear when I advise large company executives on the need to “Think Big” is that their biggest innovation challenge is not thinking big but rather thinking too much. Purportedly great ideas come from the front lines where the organization interacts with products and customers. They come from technology or marketing wizards keeping a sharp eye on disruptive market trends. They come from executives and board members grappling with questions at the organization’s strategic horizon. The challenge is that organizations are overwhelmed with more ideas than they can sort out, much less pursue. Rather than relying on randomness or organizational influence to dictate which ideas find a receptive ear, here is a three-point plan for initiating a systematic process for uncovering, assessing and scaling the best ideas. Can you augment your customer interfaces to reveal customer preferences and to customize the customer experience, as Amazon and Netflix do? Are there opportunities to better utilize the big data being generated by your business processes, including customer, operational, or performance data, for innovation? How might you reimagine key business, customer, and competitive issues if you could start with a clean sheet of paper? How do the six disruptive technologies affecting other information intensive companies apply to you? What extreme competitive threats, i.e., doomsday scenarios, might new entrants wielding these disruptive technologies pose to your organization? Opportunities should include both continuous and discontinuous innovations. Continuous innovations offer incremental or faster, better, cheaper-type optimizations, such as shedding costs, reducing cycle times, and generating incremental revenue. Discontinuous innovations are those that rise to the level of game-changing potential. 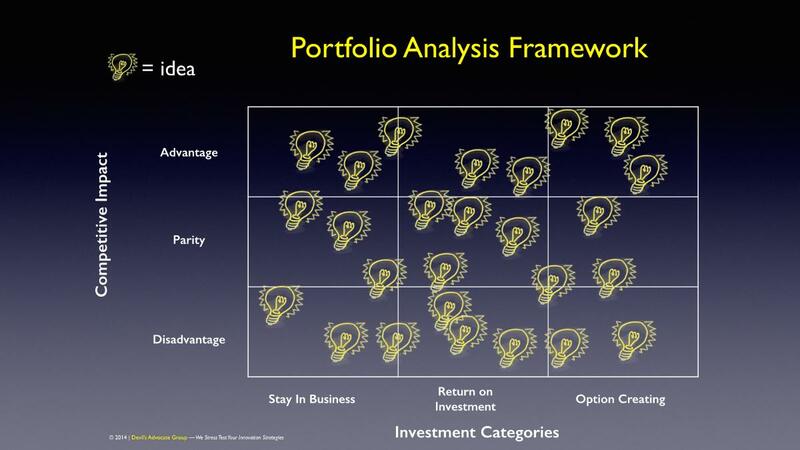 Next, assess each opportunity based on competitive impact and investment type using the portfolio analysis framework as shown in Figure 1. Competitive impact measures differentiation against what competitors might deploy by the time an idea is launched. Remember Wayne Gretsky! A key mistake is evaluating an idea against one’s current internal capabilities, as opposed to where the competition is going. This dimension forces an explicit calculation of an idea’s future potential competitive impact. Stay in Business investments (SIB) are for basic infrastructure or non-discretionary government mandates. SIB investments should be assessed on how adequately they meet regulatory or technical requirements while minimizing risk and cost. 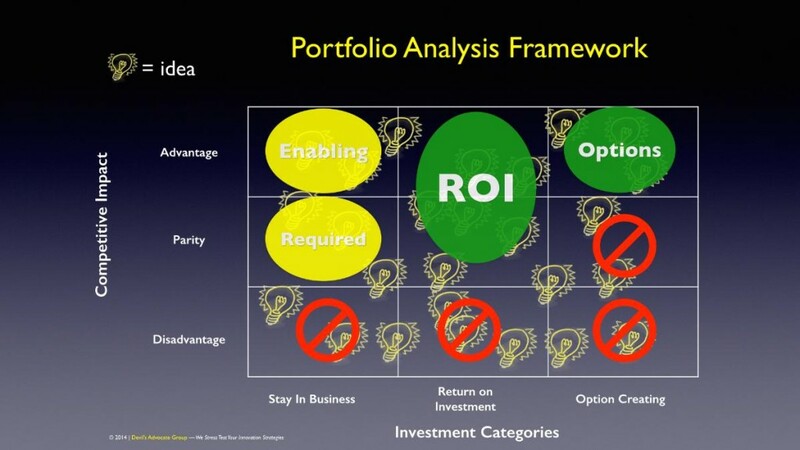 Return on Investment opportunities (ROI) are pursued for predictable, near term financial returns. Standard measures, such as NPV, ROE or other well-understood metrics are applicable here. Option Creating Investments (OCI) are pursued to create business options that might yield killer-app-type opportunities in the future. OCI investments do not yield financial returns directly. Instead, they build capabilities and learnings that can be translated into future ROI opportunities. Like financial options, OCIs should exhibit high risk and offer tremendously high returns. After arraying opportunities in the framework, eliminate those that fall outside of acceptable boundaries. For example, companies should not pursue opportunities that, once completed, are already at a disadvantage against the competition. For the remaining opportunities, develop an initial sizing of investment levels and potential benefits according to each investment category. Filter as appropriate. For example, eliminate ROI opportunities that do not meet standard corporate hurdles rates. Eliminate OCI opportunities that do not exhibit extraordinary option value. Eliminate SIB ideas that do not adequately minimize cost and risk—be very skeptical of SIB opportunities aimed at providing ROI or OCI benefits. Such opportunities should be judged directly as those investments types. Figure 2 illustrates how the analysis might look at the end of this stage. In personal investment portfolios, it is important to not place all hopes in one or two investments. The same is true for corporate innovation portfolios. To ensure competitiveness in the near term and in the future, they should include a mix of incremental and disruptive innovations. 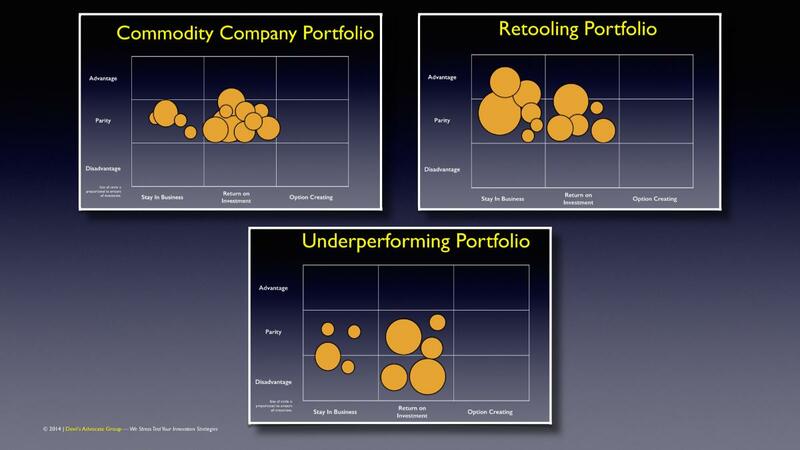 Other illustrative portfolio profiles are shown in Figure 4. Commodity businesses tend to minimize SIB and OCI investments. Companies that are retooling might emphasize infrastructure and near-term investments and make only minimal investments in future options. Underperforming companies tend to invest in programs that barely achieve competitive parity, or worse, and do little to prepare for the future in any of the three investment categories. By adopting appropriate financial and competitive metrics and measures for each type of investment, companies avoid planning theatrics where guesses are disguised as rigorous forecasts. This can happen, for example, when infrastructure and other SIB investments are required to demonstrate explicit returns on investment. Or, it can happen when advocates of OCI efforts are required to calculate net present value of very uncertain long term initiatives. Such forecasts can, of course, be made by savvy proponents. But, the analysis are better testaments to rhetorical and spreadsheet skills than certainties about the future. At the end of this three step process, companies should have a prioritized and staged investment plan that represents a coordinated enterprise innovation strategy and follows the think big, start small and learn fast innovation roadmap. Achieving an adequate understanding of the entire landscape of possibilities facilitates and encourages thinking big. 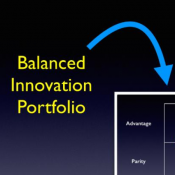 Ongoing management of the innovation portfolio provides clear criteria for evaluating other big ideas as they come up. It also demands the discipline of starting small and learning fast in the pursuit of disruptive innovations that will shape the company’s future strategic prospects. Chunka Mui is a business advisor and author of three books on strategy and innovation including, most recently, The New Killer Apps: How Large Companies Can Out-Innovate Start-Ups.